With our specialized coating process, you get a durable, smooth finish that is easy to clean. Much tougher than standard factory-grade finishes or materials used by re-facing companies, our furniture-grade finish will not crack, peel or fade-we guarantee it. We take your old kitchen and give it new life, transforming it from old and outdated to new and beautiful! Sometimes the forgotten space when it comes to cabinets, when we freshen things up, you'll enjoy time in there again! "Wasted space" is often what we hear before we start. "Wow" is often what we hear when we are done. Utilitarian can also be pleasant. Let us transform your workspace, whether a gardening room or automotive workshop. It's not just about good-looking doors and surface areas. It's about making the most of space based on your lifestyle needs. Whatever type of business you have, your cabinets are a reflection of your professional environment. Breathe New Life Into Your Cabinets, Your Kitchen, Your Home. With our unique customized coating process, we provide durable and distinct finishes for your cabinets that will update the look of your kitchen to reflect your unique sense of style. 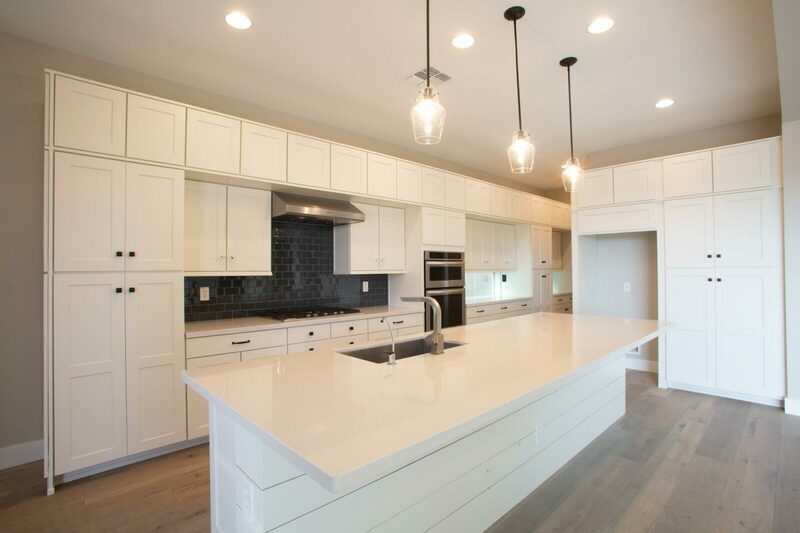 You can choose to resurface your existing cabinets or make an even more dramatic change by adding new doors, drawer fronts and other custom features. All this…without all the usual hassles of remodeling. There’s no waiting weeks on-end to be able to use your kitchen. In fact, we are usually done with your kitchen in about a week or less.